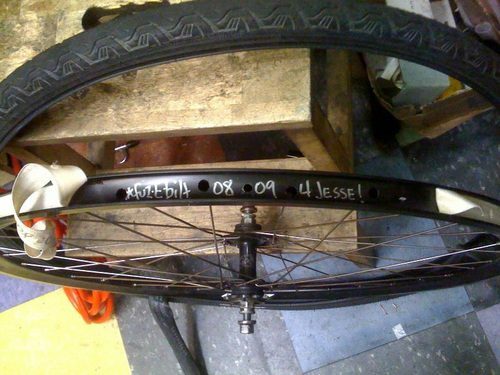 With all the theft that’s been going on, it’s good practice to sign your wheel’s rim tape, or even better, your rim. That way if it’s stolen, you can alert your local bike shops and in the highly likely event the thief or new owner of your stolen wheels brings them into a shop, you’ll get them back. This very thing happened to Jesse Johnston recently. Head over to Bicycle Revolution’s blog for the full story!